Here is a Boost charger to start vehicle if the battery is down. Just connect the charger to the battery terminals (in the connected position) and start the vehicle. It will immediately charge the battery and the vehicle will start. Once the vehicle is started, the current from Dynamo will charge further. You can then disconnect the charger. It is an ideal charger to keep in the vehicle to avoid confusion due to vehicle breakdown related to battery problems. It delivers 15 volt DC and 10 Amps current for the boost charging. 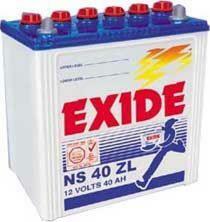 Partially discharged battery takes very long time from 24 to 48 hours to attain full charge. A boost charging will speed up the charging process and trigger the chemical reaction within the battery. So if the inverter or car battery is not accepting charge, it is ideal to boost charge for 1 hour and then charging with low current as usual. A very good Tip to start a breakdown vehicle due to battery failure is added. See how it works.